Video games bring more people together in a vast virtual world. The crowd is large, and there is a greater demand for free server spaces. For this reason, some gamers decide its own game server to operate. But, managing such powerful technology itself is quite expensive and requires appropriate knowledge. 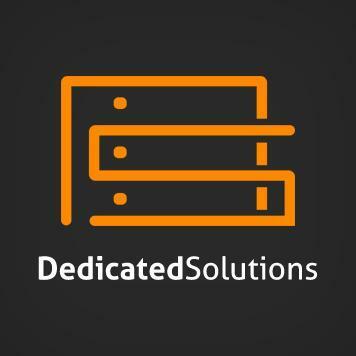 If you value a quick means of your game server and on competent and readily available support, then you are exactly right with DedicatedSolutions hosting. A secure network infrastructure with robust firewalls and high connectivity make hosting game servers, even in times of cyber-attacks a pleasure! We offer a wide variety of both dedicated and managed game servers. You can play your favorite online games, hosted on the latest high-end hardware, with the lowest latency. With an HP and Dell powered dedicated server, you have exclusive access to the leased hardware resources and can improve the performance of your game server full use. DedicatedSolutions goal is to offer you the best possible web interface using the best hardware at a fair price. We do not compromise on issues of hardware, connectivity, and routing. The control panel has been specially customized for each game and practically re-developed to allow us to give you more control over your services without trailing speed, stability and smooth operation for you and your clients. All dedicated game server orders are instantly provision and the process only takes a few minutes and differs by the game’s file size. All of our game services are hosted on DDoS protected networks, using the best possible high bandwidth carriers to ensure optimal uptime and performance. The dedicated game hosting is ideally suited as a game server for most popular games such as Battlefield 4, Counter Strike, Minecraft, Space Engineers, Team Fortress 2, Rust, etc. If your favorite game is not listed in our game server offerings, please contact our support department to inquire about the possibility of hosting your game. Through our innovative live chat support, we can also at any time offer direct help for game servers in order to receive an answer immediately. Our support team has an excellent knowledge of the games that we host. Therefore, we are able to answer all your questions quickly and accurately. This entry was posted in DedicatedSolutions, Managed Services and tagged DedicatedSolutions, Game Server, IaaS, Infrastructure on April 24, 2016 by marketing. From software issues to deployment of applications or hardware-related performance problems or the provision of additional infrastructure – all these seemingly everyday tasks contribute decisively to the reliability of the underlying infrastructure that supports your applications and contributes to the continuous development of your company. However, it may be useful to reduce unnecessary cycles related to the hardware management, so your IT team can focus on business-critical tasks. If companies manage your infrastructure itself, which detracts hardware management often the productivity of IT teams and distracting them from projects that have an impact on the overall operating result. With DedicatedSolutions Managed Hosting Services, you can concentrate on your business strengths. Managed by dedicated servers, large deck capacity dedicated to the cloud infrastructure and accompanied by extensive experience in the provision and management of the major operating systems, DedicatedSolutions is the perfect partner for reliable managed services for a variety of workloads. Many of the companies are relying on DedicatedSolutions infrastructure and benefiting from the advantages of our service-centered, security-oriented and dedicated customer service. DedicatedSolutions has invested in all platforms with which companies can build a hybrid IT ecosystem. Our Colocation Services provides a transition plan to pull equipment and hardware gradually and to make a gradual transition to managed services. DedicatedSolutions manages the operating system and the hardware. We provide Linux, CentOS, Windows and other operating systems ready – depending on the choice of our customers. In this way, companies can decrease their cost that goes along with licensing and purchase of hardware and operating system, and also the operational but crucial outsource need for maintenance and patching the operating system environment. Besides, customers install their own operating system. You retain control of the operating system, and DedicatedSolutions provides just the hardware ready, along with the installation, maintenance, and repairs. How to migrate to DedicatedSolutions, if you have decided to use us as a hosting provider? To speed up the migration process and reduce downtime or excluded completely, strategic and tactical plans need to be developed. We provide migration services to facilitate the transition. A disaster recovery strategy is essential for business. Our experts can help you assess your needs and application environments to complement your hosting services. Furthermore, our sales engineer and the account manager will be able to develop high-availability architectures for the production environment. When it comes to disaster recovery, we also use our data centers for redundancy. Our managed hosting services are complemented by robust security products that can help you spread your business and always protect the changing security threats. We work with operating system vendors to accelerate the appearance of patches, protect the operating system environments against viruses. As for the physical security, our Managed Hosting operates from a secure data center, to which only authorized personnel have access operation. Managed hosting is only one aspect of DedicatedSolutions broad portfolio of products and services for companies that can transform your business. This entry was posted in Cloud Computing, Colocation, Data Centers, DedicatedSolutions, Disaster Recovery, Hosting Services, Managed Services, Private Cloud and tagged DedicatedSolutions, Disaster Recovery, Managed Colocation, Managed Hosting, Managed Services on March 24, 2016 by marketing. Due to the growing IT requirements and the continuing demand of cloud, big data, mobility and other emerging solutions, it has never been more important to find a reliable partner that offers managed custom services. By working with a provider that support business-critical IT plumbing and processes, companies can shorten the time to market and take new initiatives that previously required too many resources. DedicatedSolutions is a practical solution partner that the right experts, proven industry methods, a comprehensive network, and IT services together to drive your business. Our managed services ensure the protection and optimization of your network, your applications, and your infrastructure so that you can take the company to keep pace and stay competitive. We manage scalability oriented services in data centers worldwide. Certified experts improve by protecting networks, infrastructures and application environments agility. Better financial models and control mechanisms facilitate the monitoring of budgets and the budgeting of IT costs. We develop, create and stand for scalability, implementation and automation. Agility: Access for launches, testing, development and many other activities so often and so intense you want the most. Innovation: Divert your IT resources in other activities to drive initiatives and innovations. Efficiency: With DedicatedSolutions, you get a provider that fulfills all your requirements of applications, computing, networks, and storage. Thanks to our vast experience and diverse range of products and services you can rely on us as a reliable partner. Flexibility: DedicatedSolutions provides application performance monitoring services provided by dedicated to combined models fulfills all unique needs of your business. Comprehensive monitoring: Supervision of the execution, performance, and availability of your applications in your environment. Proactive warnings: Identify and report when thresholds for requests and activities of end-users and response times are exceeded. Performance dependent SLA: By adding this service, you will receive a performance-based SLA that applies to your entire environment at DedicatedSolutions. Our diverse solutions to meet the specific requirements of client applications and we have a special hybrid environment that offers by migration on some level to the cloud a unique agility. We provide great product and service portfolio of Managed Services, which is part of a broader offer of companies that allows them to transform your business by Hybrid IT and other measures. We work with companies of all sizes while offering every company the same performance and range. This entry was posted in DedicatedSolutions, Managed Services and tagged DedicatedSolutions, IaaS, Infrastructure, Managed Services, managed solutions on March 11, 2016 by marketing. The complexity of IT environments is steadily increasing. The causes are the rapid technological progress in the entire IT sector and the rising number of applications and company-specific solutions. As a result, there is a desired effect in an increase in productivity and the increased efficiency of IT workstations. To address these challenges, DedicatedSolutions has developed modular services offerings around the IT product lifecycle. With Managed Services, we combine the advantages of high availability of efficient management with transparent, scalability devices as well as increasing user satisfaction. The causes of inefficiency or lack of productivity in the use of information technology are manifold. The new workplace environments and IT infrastructures are becoming complex and costly to manage. The environment simultaneously decreases the useful life of hardware components, while the scope of the software applications themselves is spreading ever more widely. The consequence – new hardware and applications must be integrated – often due of acquisitions and incorporations of new operating units. The entire IT should be aligning with core business and produce demonstrable benefits and competitive advantages. The introduction of process standards and a clear IT Governance ensure flexibility on future requirements and changes. The right balance of service levels, quality and configuration of the hardware resulting in a cost-effective solution. The automation of everyday processes leads to the availability of systems that further raise user satisfaction. 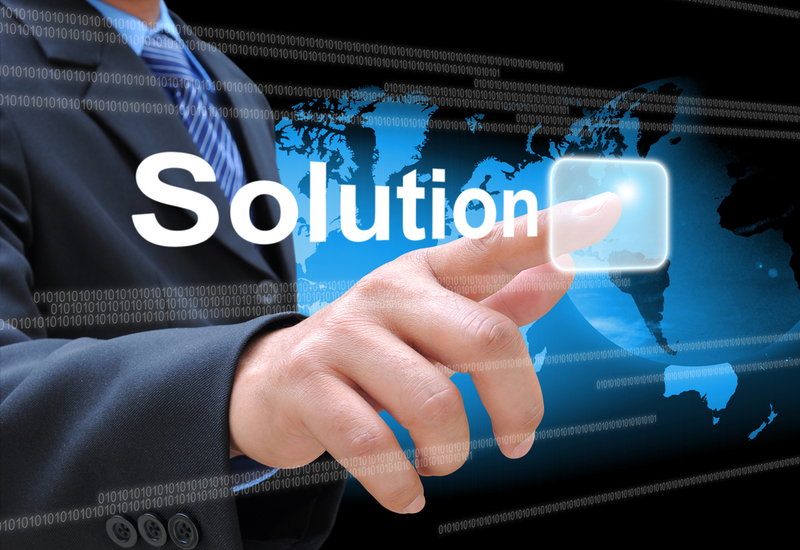 All phases of the services and solutions that DedicatedSolutions provides help to reduce costs and increase efficiency. Standardization is being driven, to ensure the seamless and efficient use of IT. Selection and procurement are optimized to the best possible alignment to achieve user requirements. Uniform processes for delivery and implementation of new solutions. Focus on an automated management of jobs to ensure all systems have integrity, stability and security. Prevention is being proactively taken care to ensure the smooth operation of IT jobs. Processes for potential disaster recovery and backup solutions. The results of IT assessments based on comprehensible, clearly defined conclusions. We share the innovative spirit of our startup customers and the global footprint of our most established customers. This entry was posted in Cloud Computing, DedicatedSolutions, Hosting Services, Managed Services and tagged DedicatedSolutions, Managed Services, managed solutions, office management on February 22, 2016 by marketing.